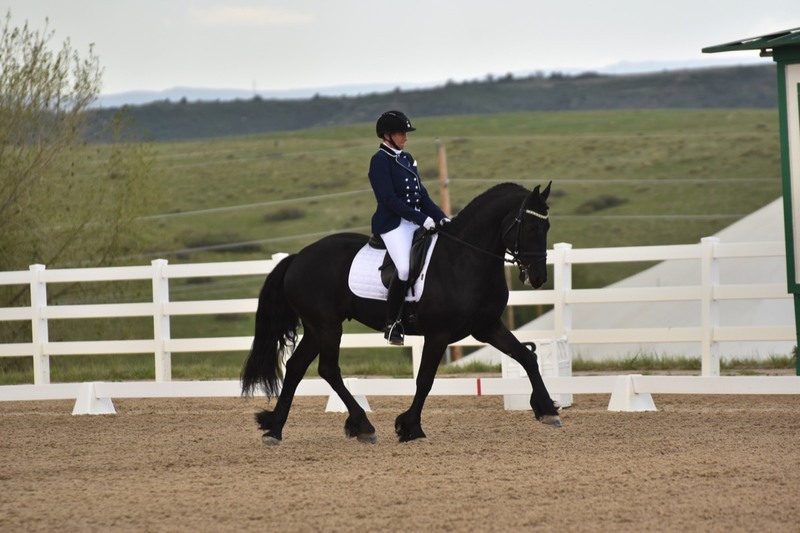 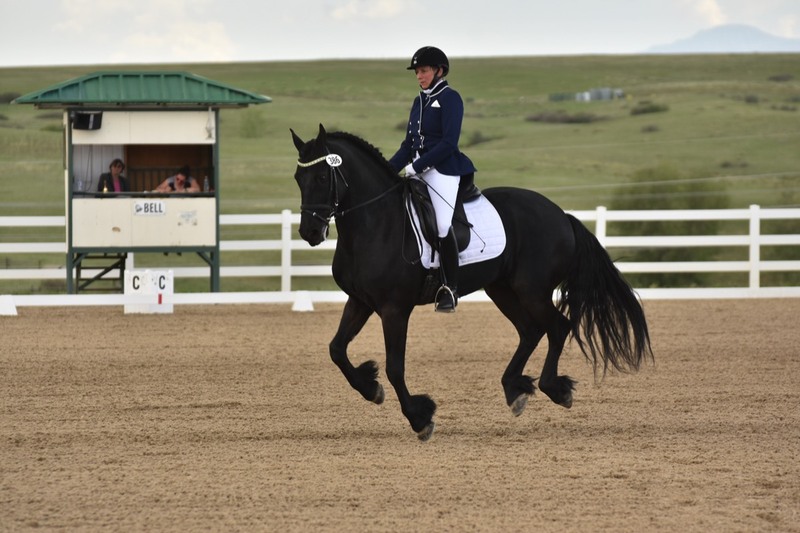 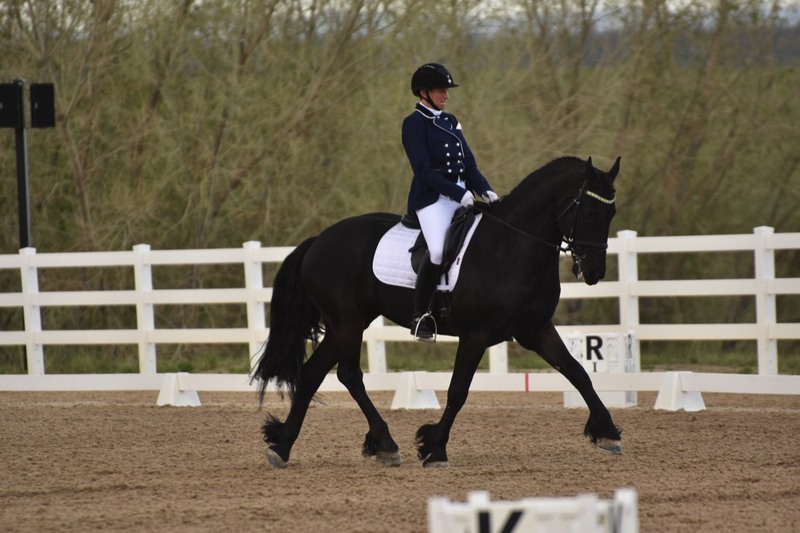 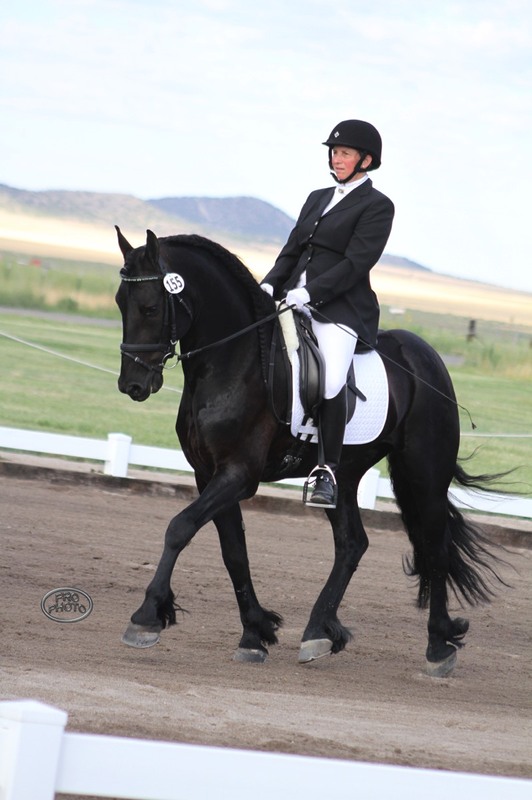 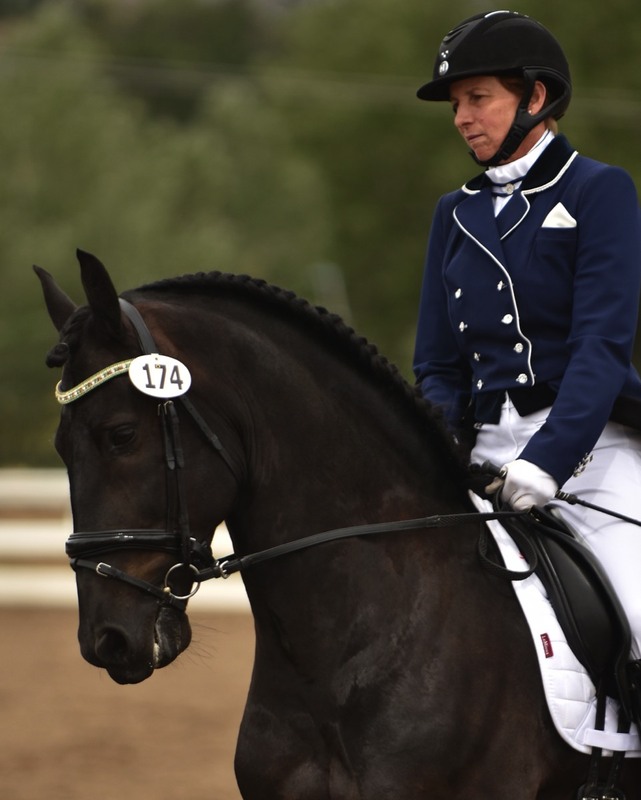 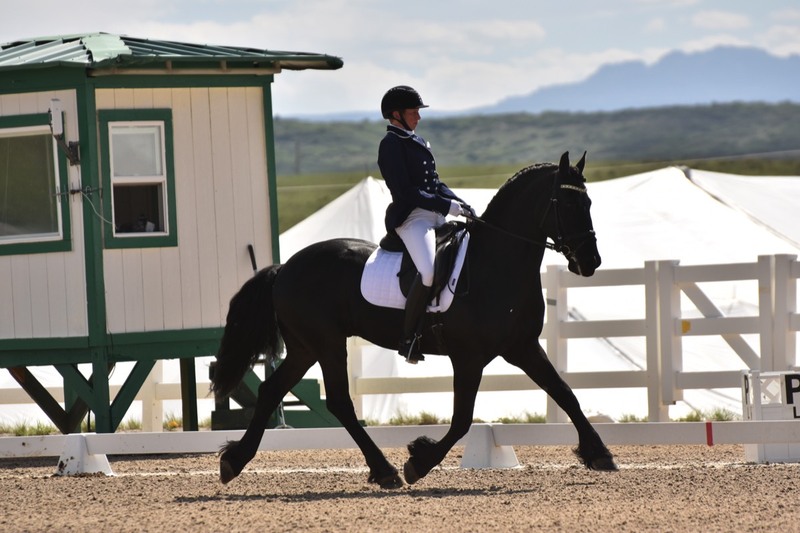 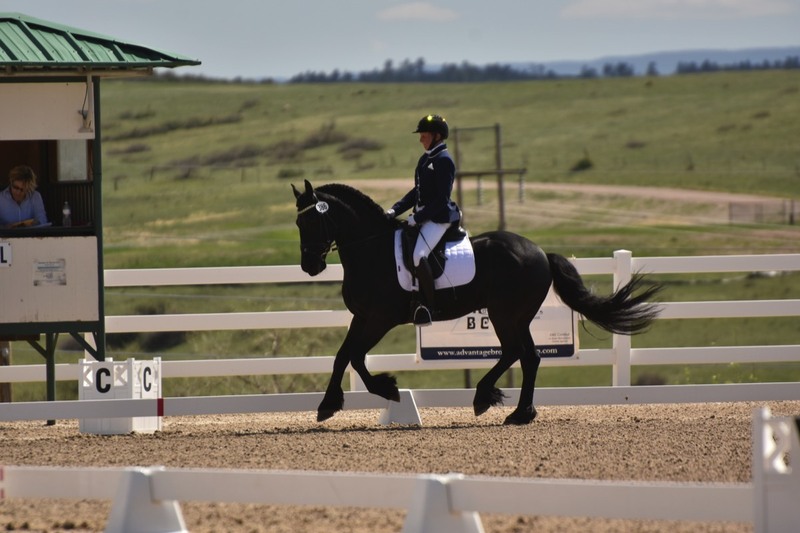 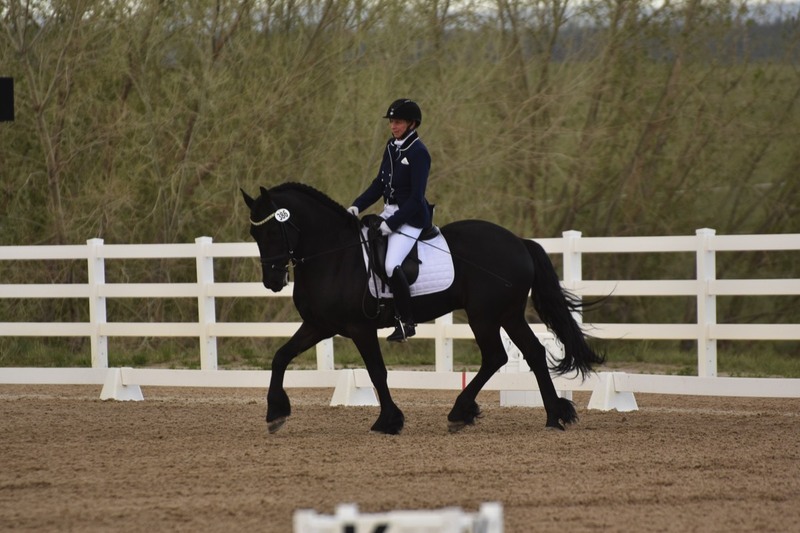 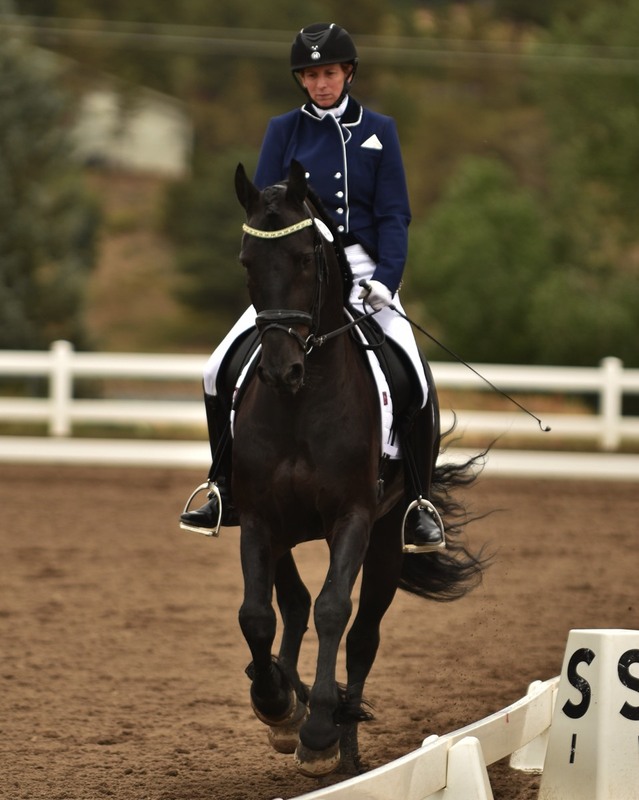 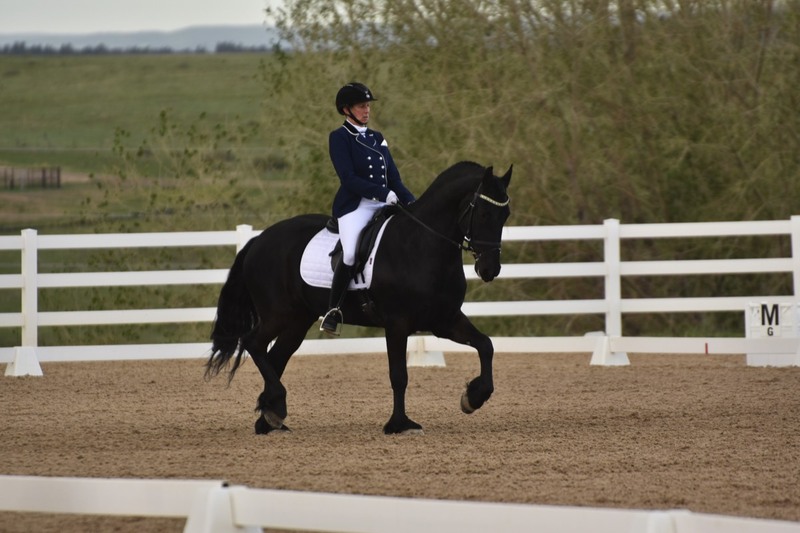 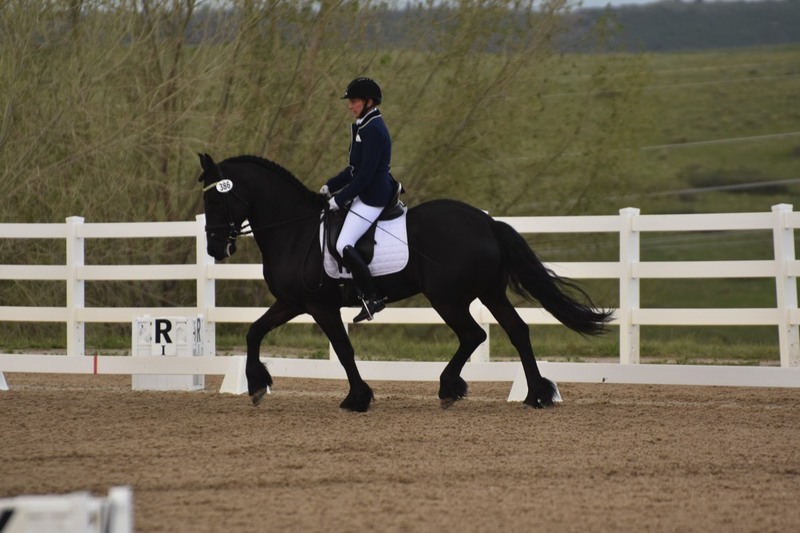 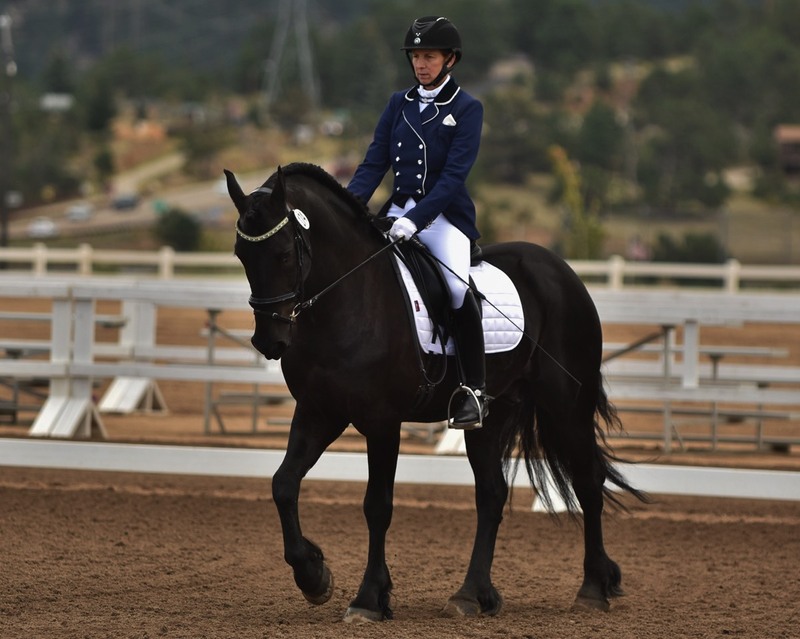 Modern built Friesian with outstanding dressage sport pedigree. 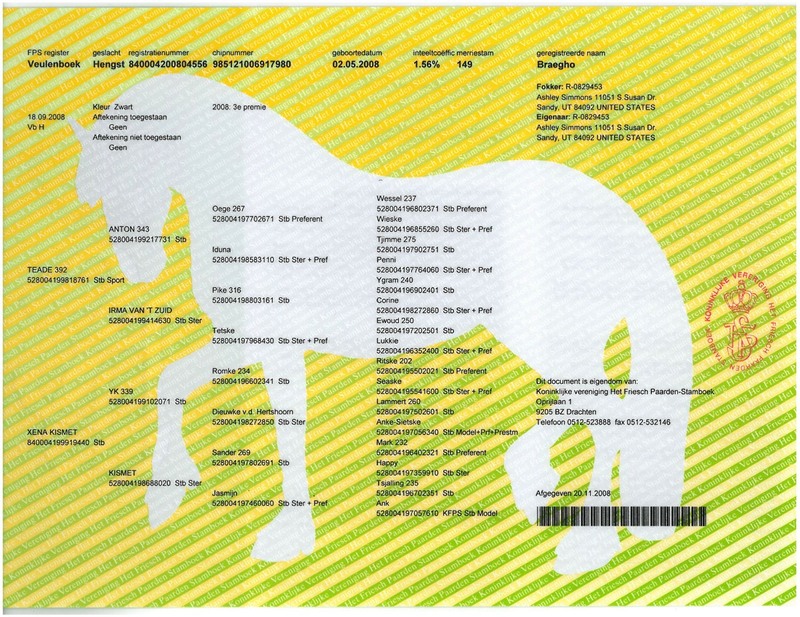 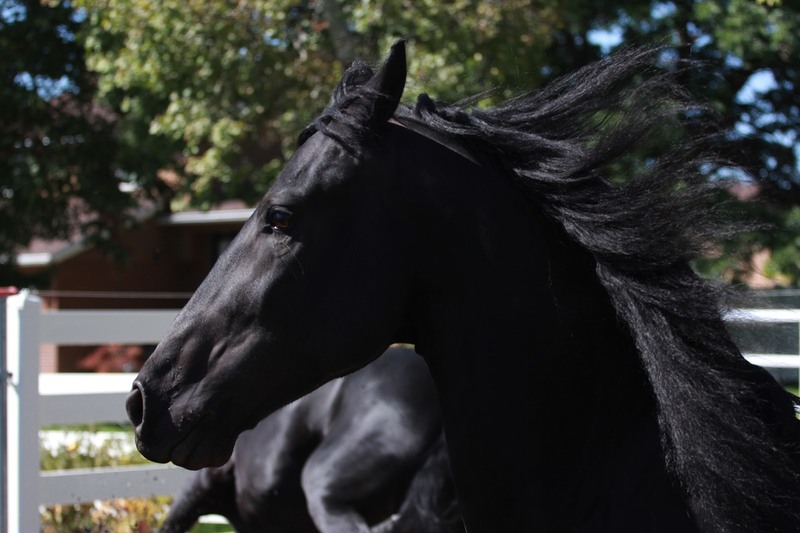 Braegho is out of Black Magic Farm's mare Xena Kismet, and he inherited his dam's athleticism and can-do attitude. 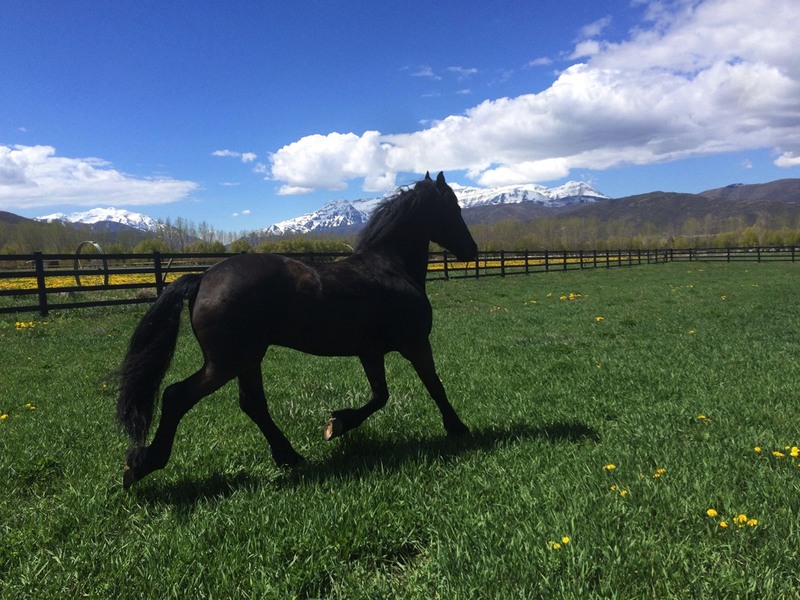 Born 2 1/2 weeks premature, we were afraid our "littlest Friesian" wasn't going to survive, but with true grit and determination, our little "Bugsy" has shown himself to be a truly wonderful horse. 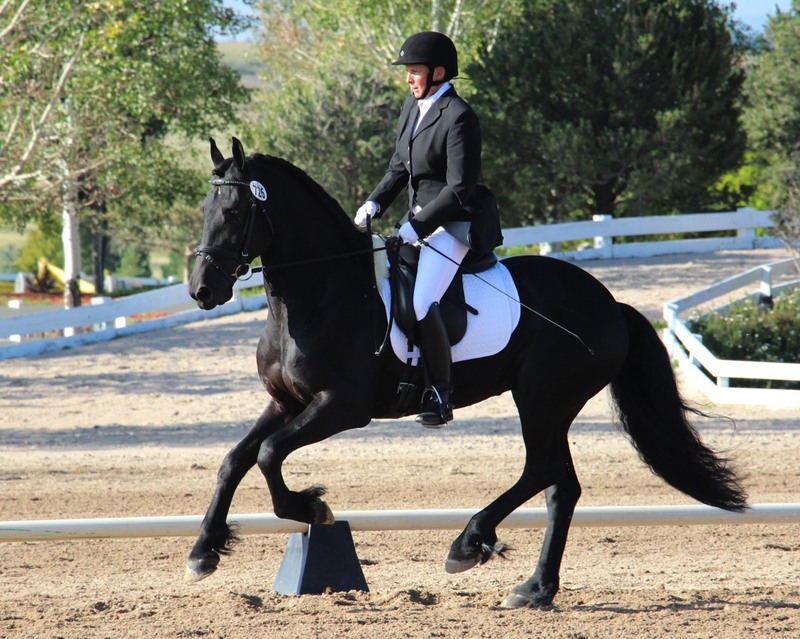 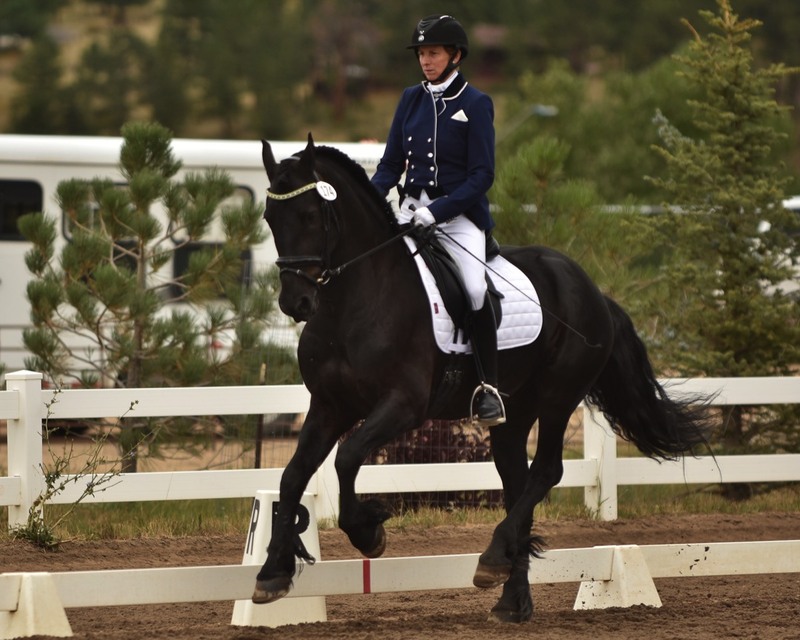 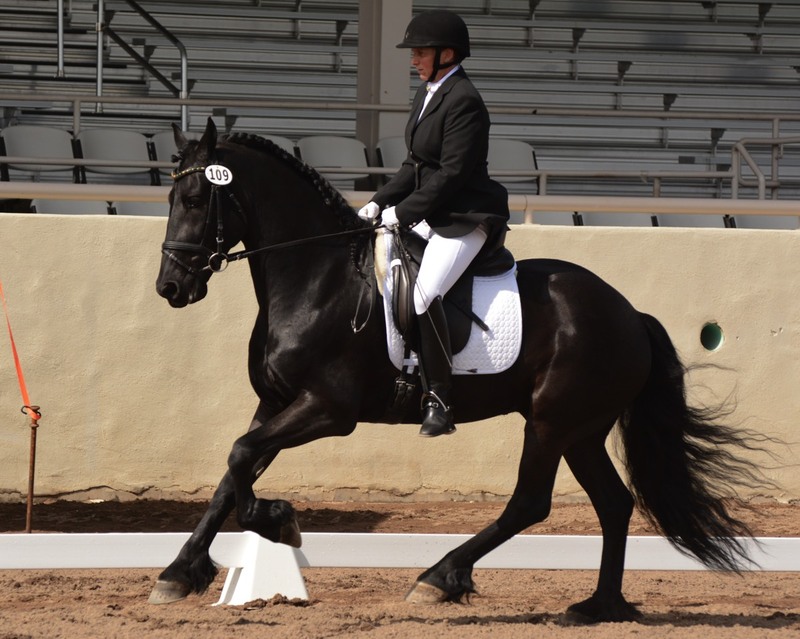 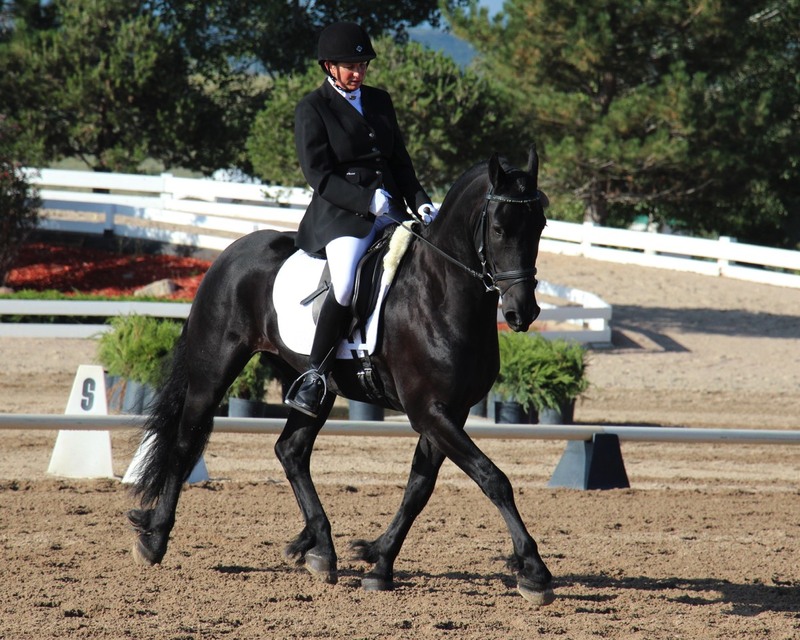 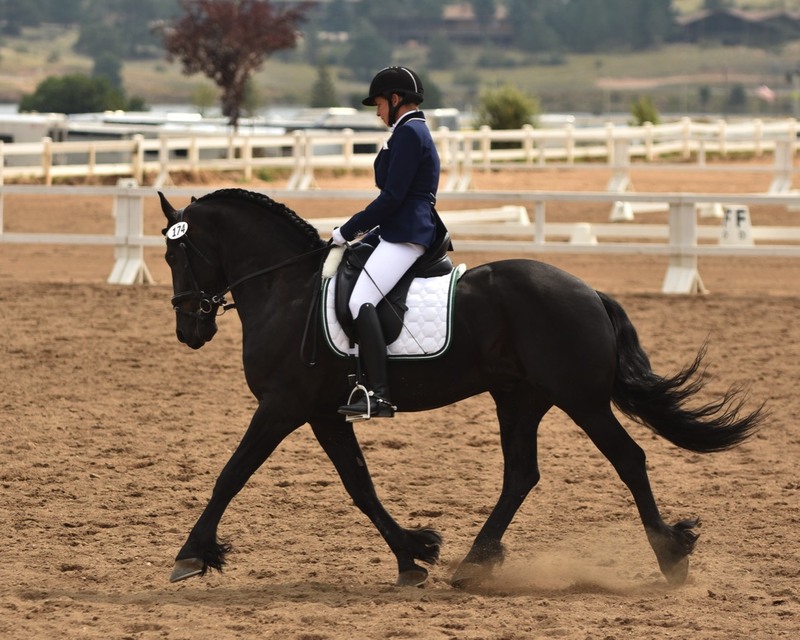 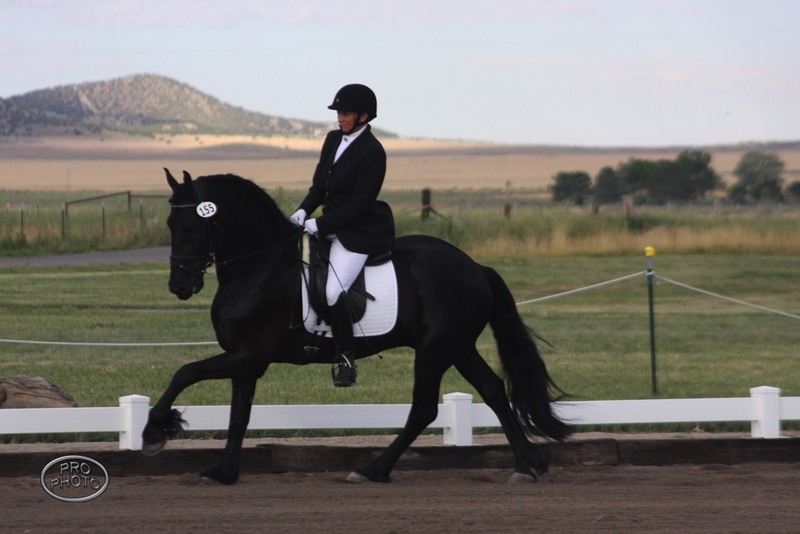 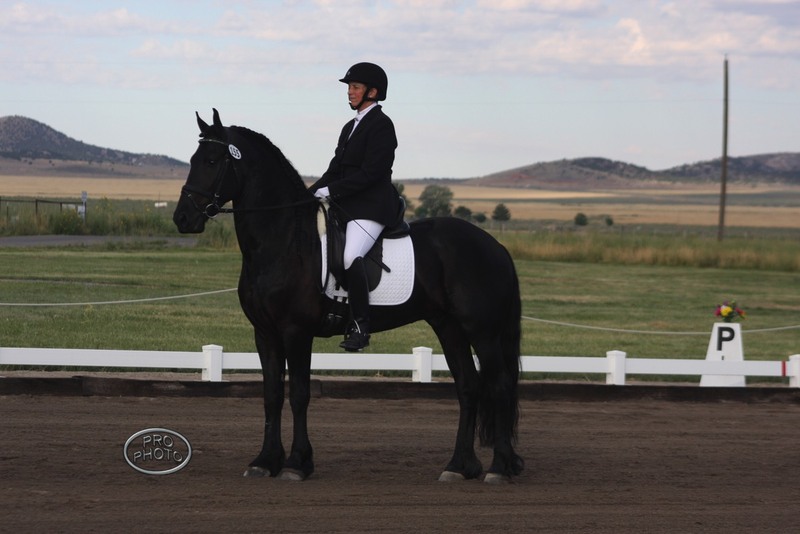 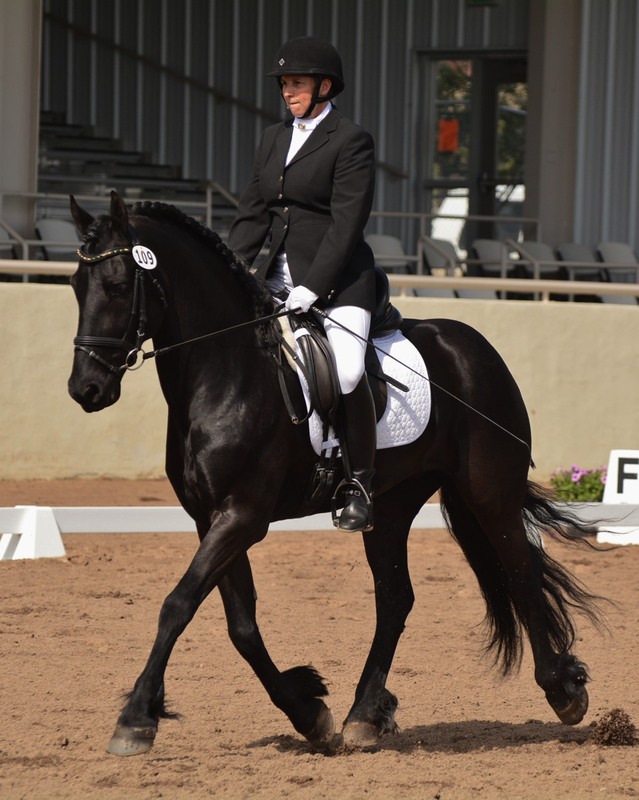 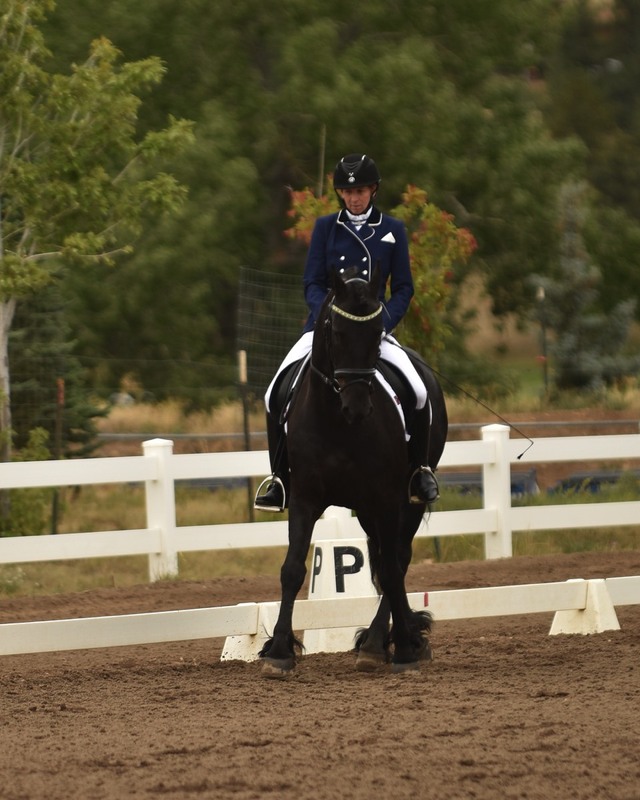 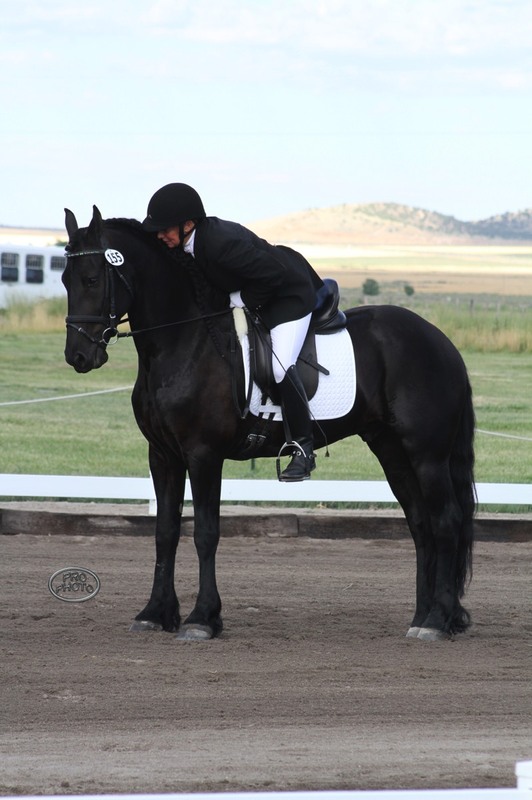 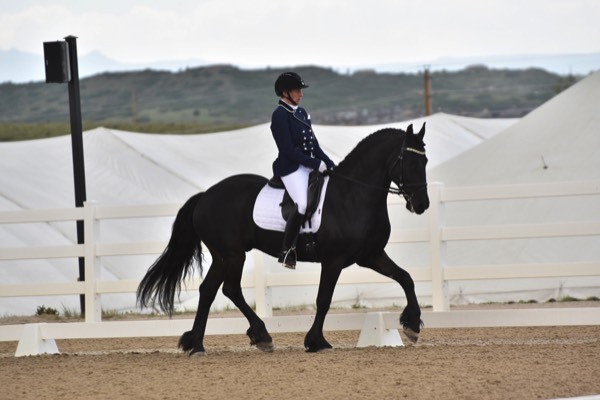 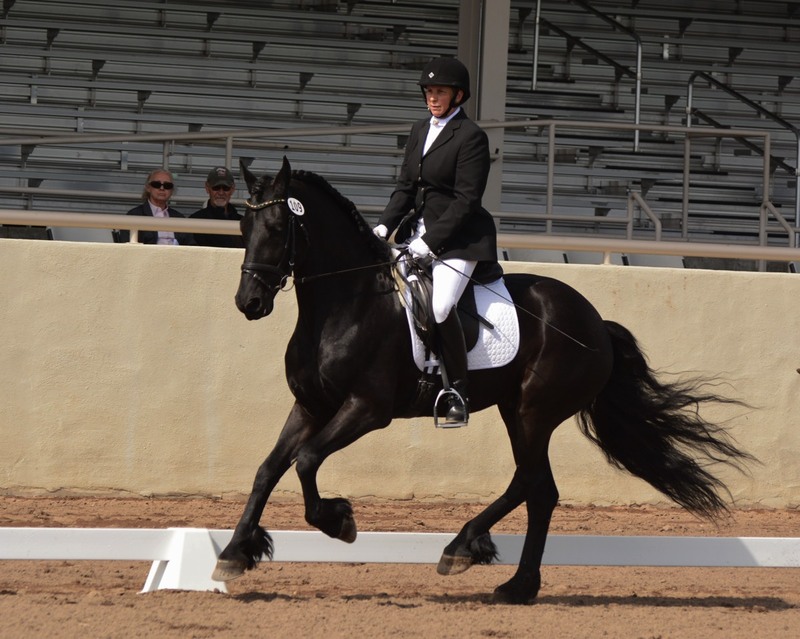 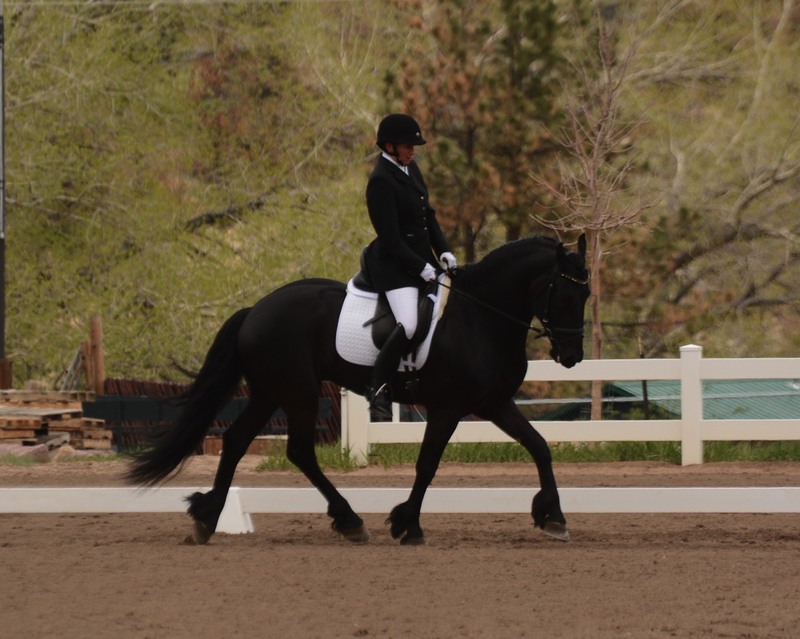 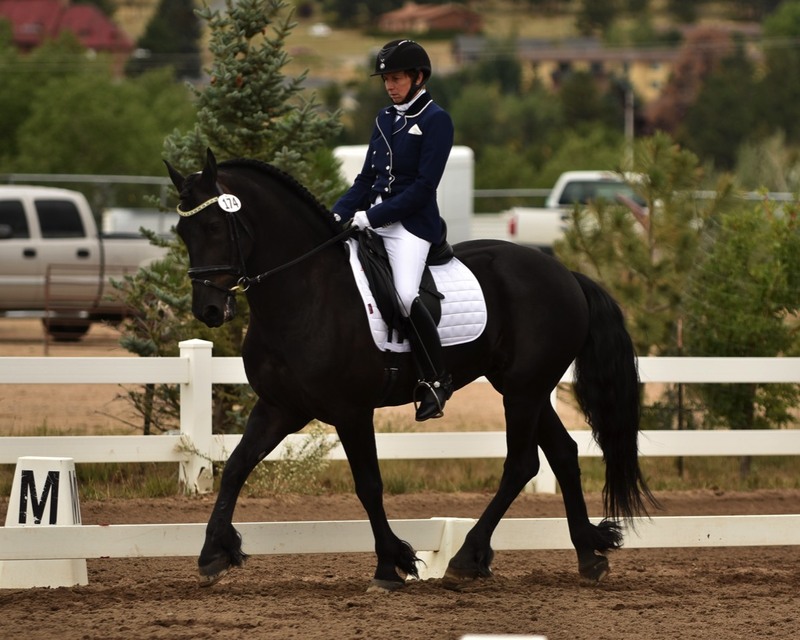 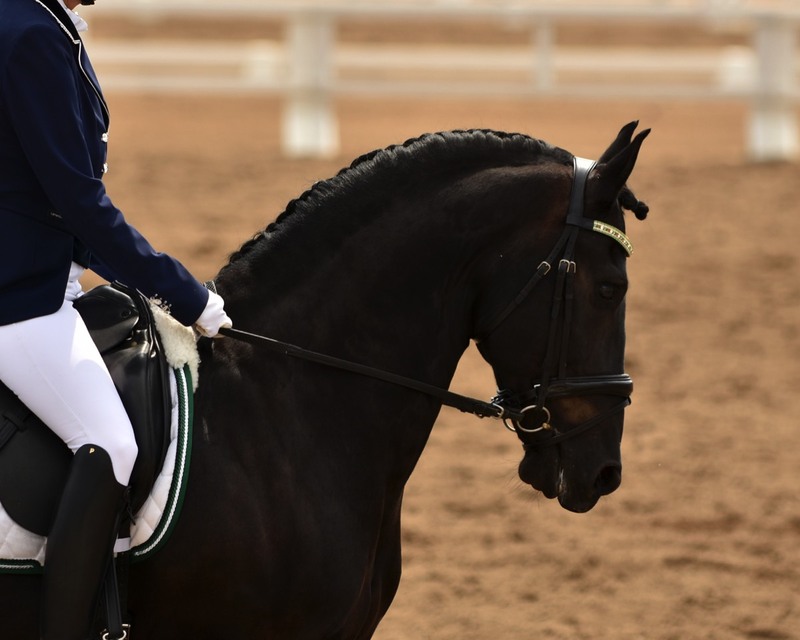 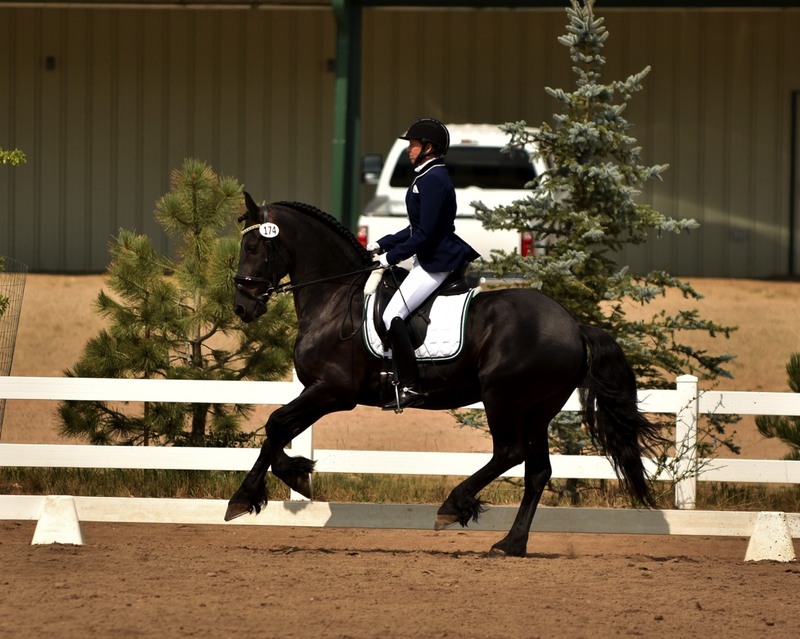 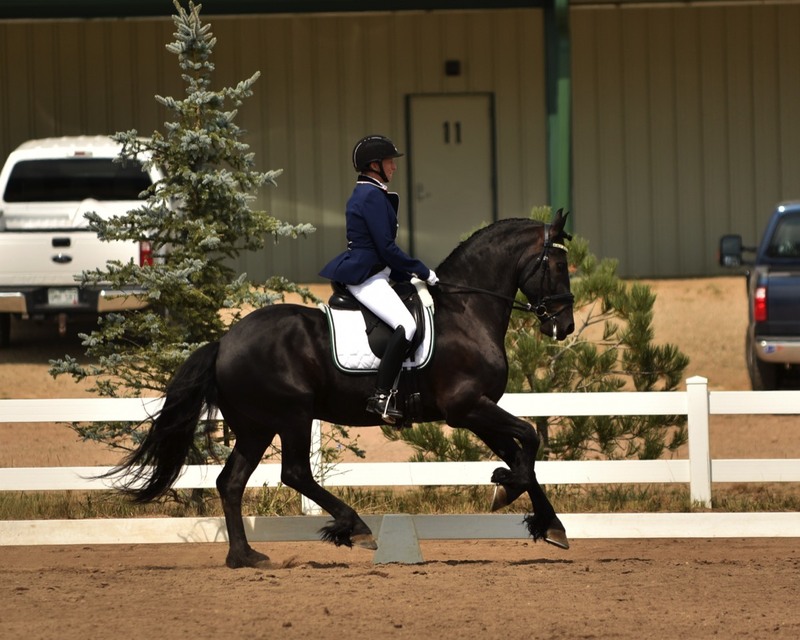 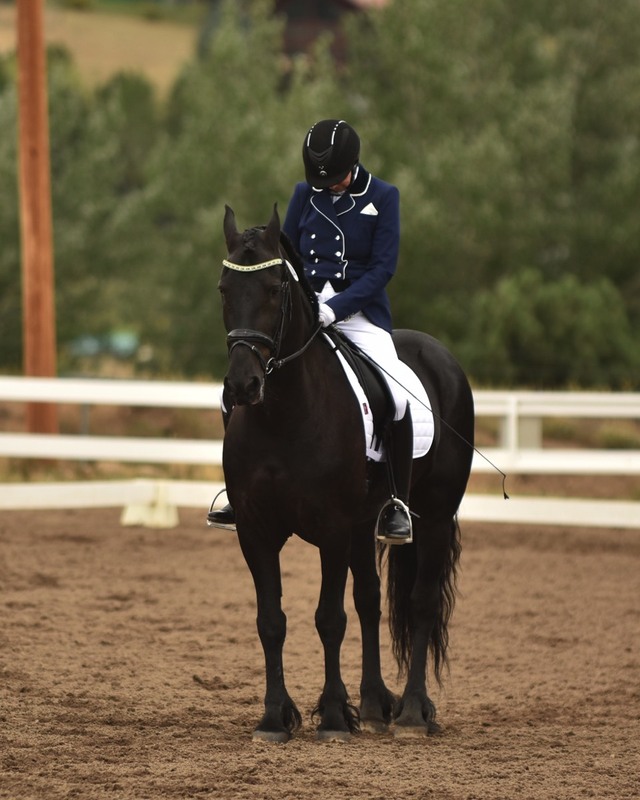 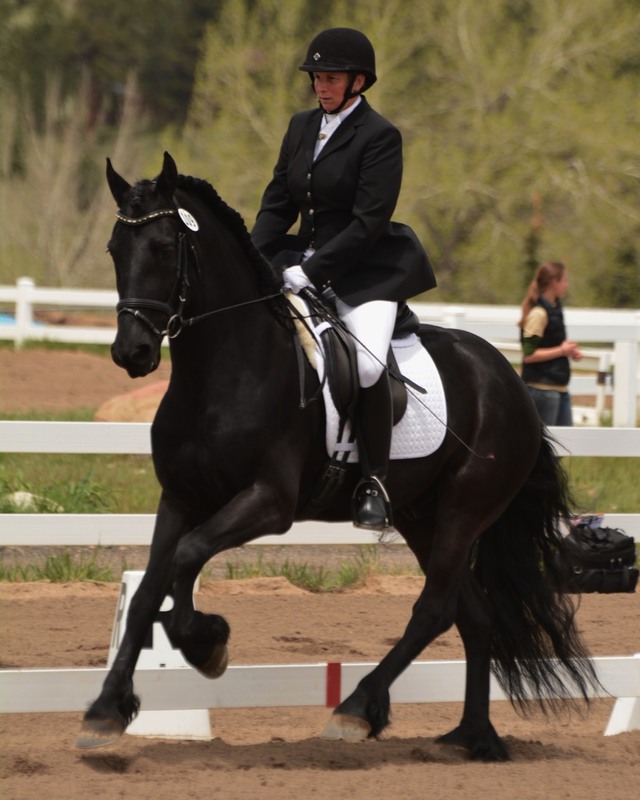 He is the epitome of Friesian friendliness, eager to socialize with both people and horses. 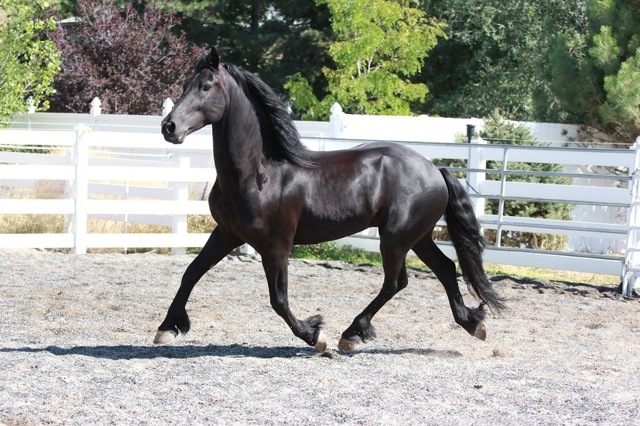 He is very intelligent and has a mischievous nature, always getting into trouble with his curiosity. 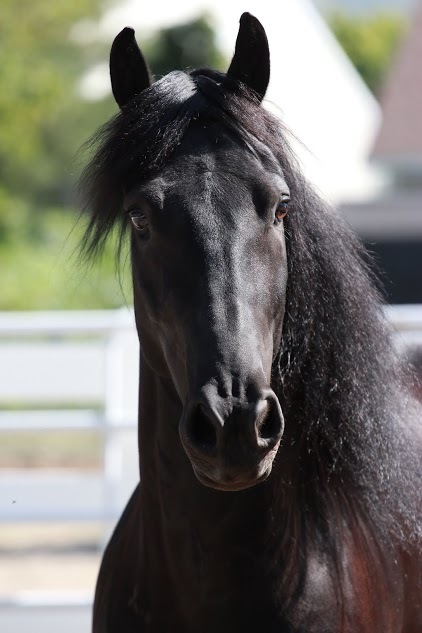 He has been called "Breaking Braegho" by those at the barn for his ability to break things and then look totally innocent. 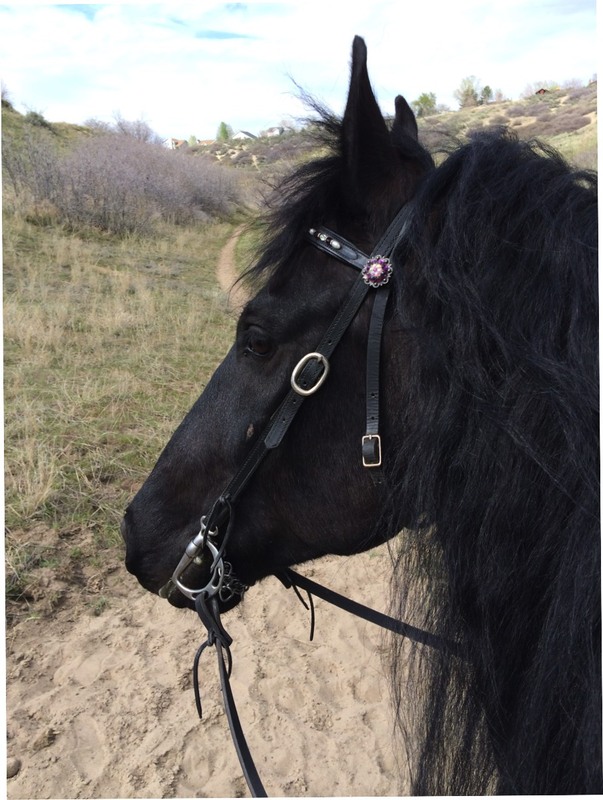 He has a good work ethic and enjoys both ring work and going on the trail. 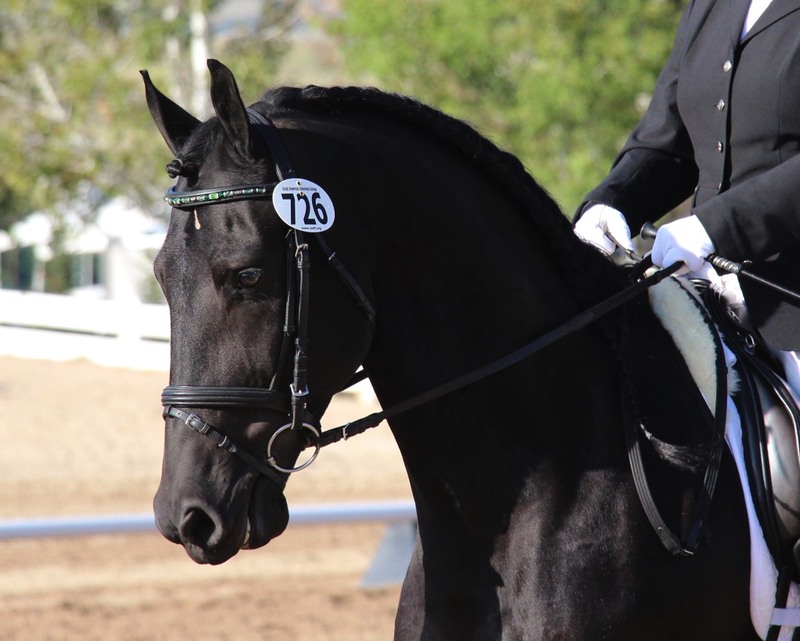 Although he was thrown into the big leagues, showing only at recognized competitions his first year of showing in 2013, he maintained a respectable average of 60%. 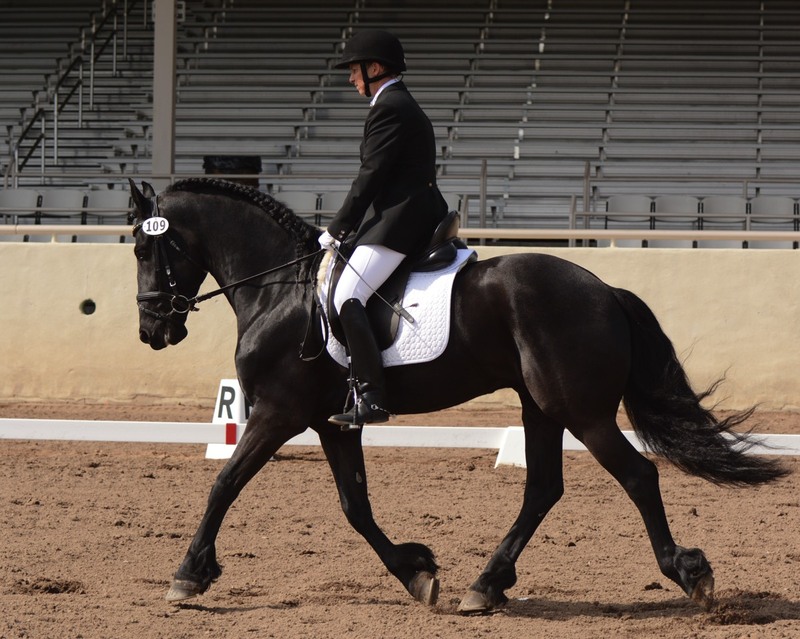 He has shown tremendous athleticism despite his small stature and he is currently showing in the mid 60's at Third Level.